Wedding season is just beginning! 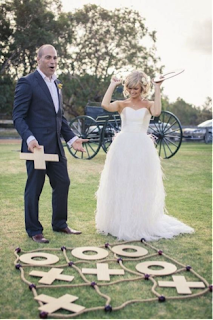 For those of you getting married in the next couple of months, here are a few of our favorite ideas to make your summer wedding uniquely you. 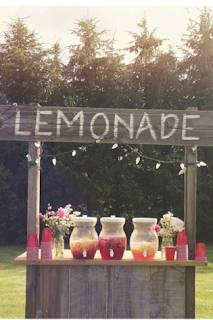 Bring back the nostalgia of childhood with an old-fashioned lemonade stand! 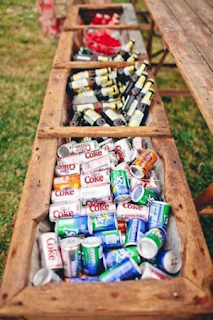 Your guests will stay hydrated and energized during the whole celebration!. Keep your guests entertained with some outdoor games! This oversized tic-tac-toe set will be a hit. Remember the kids' needs too--have plenty of beverages, alcoholic and non-alcoholic, to please everyone! 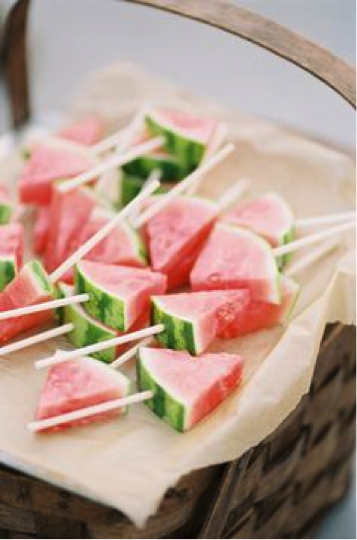 Watermelon chunks are the perfect light and hydrating snack to offer your guests. Experiment with other fruits as well, such as strawberries or honeydew melon. If you’re going to be dancing the night away, keep it fun! 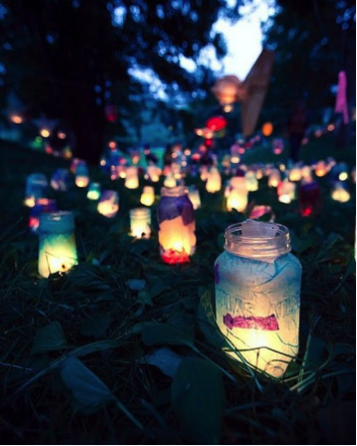 These mason jar lanterns will cast a cheerful glow while creating a romantic mood.